A little over 4000 admissions to Guy’s and St. Thomas’ Hospitals in London were screening for the carriage of ESBL Enterobacteriaceae in 2015. ESBL were defined phenotypically with genotypic confirmation. The finding that 9% of admissions to a tertiary referral centre in London carried ESBL is no surprise. It’s around what you’d expect to see (see Figure 1 – bear in mind these are figures from the community up to 2011 – you’d expect prevalence to be higher in hospitalised patients). 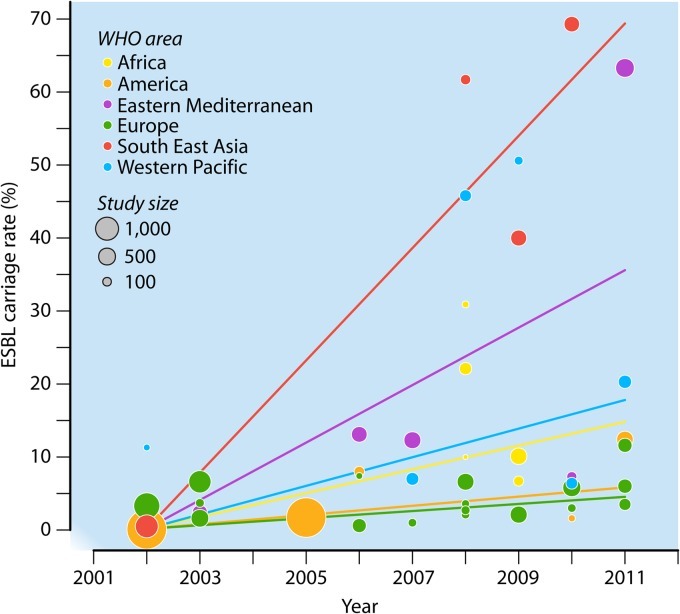 Figure 1: The global prevalence of ESBL in the community, from Woerther et al. We performed a risk factor analysis, which included both individual-level variables (such as overseas travel, antibiotic exposure, and age) and were also able to include community-level variables (such as markers of household overcrowding, deprivation, immigration, and ethnicity). We found that risk factors for ESBL were travel to Asia (OR 4.4, CI 2.5-7.6), or Africa (OR 2.4, CI 1.2-4.8) in the 12 months prior to admission, two or more courses of antibiotics in the 6 months prior to admission (OR 2.0, CI 1.3-3.0), and residence in a district with a higher than average prevalence of overcrowded households (OR 1.5, CI 1.05-2.2). Given the high prevalence of ESBL carriage in Africa and, to a lesser extent, Africa (see Figure 1), these travel-related associations are not new or surprising. Similarly, antibiotic exposure as a risk factor for antibiotic-resistant bacteria is well established (well, duh!). 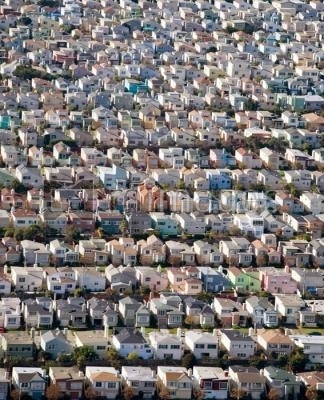 But the association between a community-level variable – overcrowded housing – is news. Other studies have found evidence of ESBL transmission in individual households, and that socioeconomic factors play a role in the transmission dynamics of ESBL and other antibiotic-resistant bacteria including MRSA. But why have so few studies examined a potential role for community-level variables in risk factors analyses? I think the answer is simply because it’s tricky to do. It would have been easy for us to do a conventional risk factor analysis for this study, including individual-level variables collected from electronic records and from speaking to patients. It’s more technically demanding and considerably more time consuming (years not months!) to link in with community-level variables (in fact, I couldn’t have done it without the expertise and patience of the brilliant Dr Olga Tosas Auguet). I dread to think how many hours have gone into the analysis and reanalysis of the data behind these findings – without a doubt more than any of my other studies. But worth it in the end to reach what I hope are interesting and important outcomes. So where do these findings take us? The association with overcrowded housing is statistically robust, but there’s a chance it may not be a causal association, but instead, a marker of something else. Whilst it is plausible that living in (too) close quarters with other human beings increases the chances of sharing bacterial flora, household overcrowding correlated with ethnicity, deprivation, and immigration. So it’s difficult to know what is driving this community-level association with ESBL carriage. It will take carefully planned studies to investigate this – but at the end of all this, there could be a community-based intervention to reduce the carriage of antibiotic-resistant bacteria at the time of hospital admission, with the potential to improve individual patient outcomes and reduce the overall burden of AMR. Finally, a quick acknowledgement to Clinical Microbiology and Infection. The final version of this study is quite different to the original submitted version, thanks to the constructive reviewer and editorial comments, for which we are grateful. ← How far can environmental hygiene REACH in reducing HCAI?